RenovaCare | Cell Renewal, Naturally. Results my vary from person to person. RenovaCare, Inc., (RCAR), announces the appointment of Mr. Harmel S. Rayat, longtime majority stockholder, as Chairman of its Board of Directors. What is the CellMist™ System? The CellMist™ System is an innovative investigational medical treatment for processing and spraying a patient’s own stem cells onto wounds for rapid healing. A liquid suspension containing a patient’s own stem cells which are isolated from a small sample of their skin, using a patented process. A patented investigational medical device which gently sprays the CellMist™ Solution on to a wound site for rapid healing. 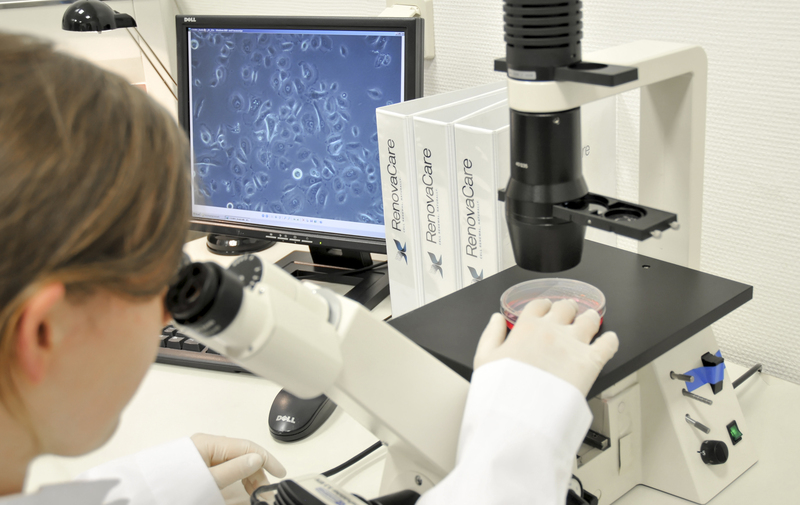 Once sprayed onto the wound site, the patient’s stem cells contained in the CellMist™ Solution go to work, naturally and rapidly regenerating damaged skin. 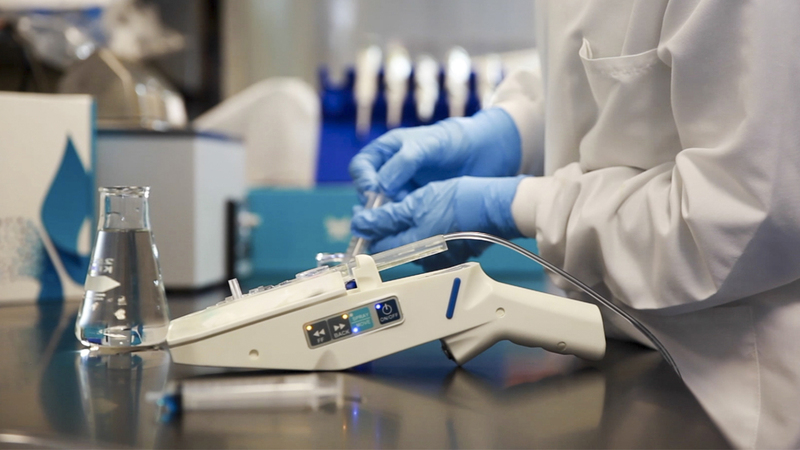 The CellMist™ System replaces traditional skin grafts, harvested through painful surgery to remove significant portions of skin from the donor’s body. These graft surgeries create large secondary wounds. 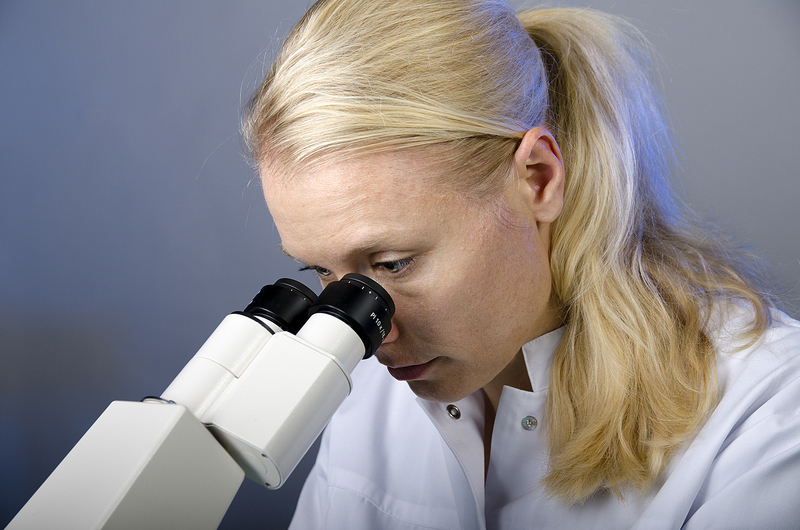 The CellMist™ System requires only a postage stamp-sized sample of donor skin. Our patented SkinGun™ is an investigational spray device specially designed to deliver the CellMist™ Solution and its regenerative stem cells to heal burns and wounds. 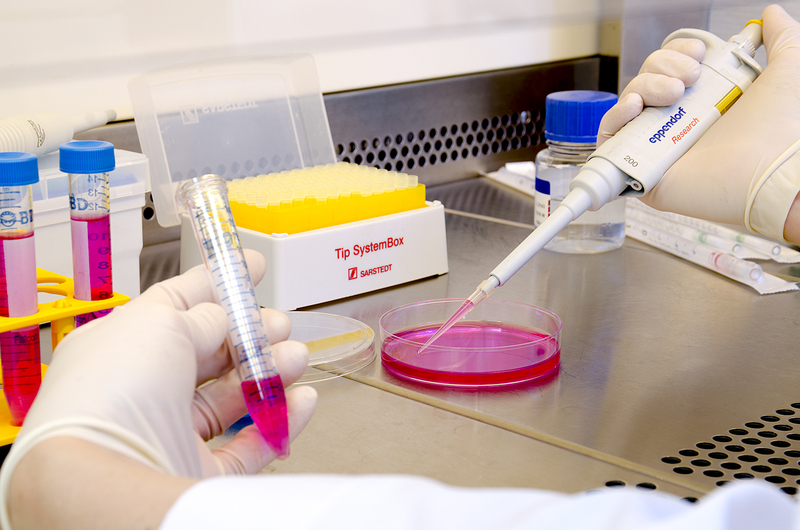 Stem cells are delicate and can be easily damaged by conventional spray methods. These pumps use mechanical compression, generating turbulent forces which can thrash and damage the cells. 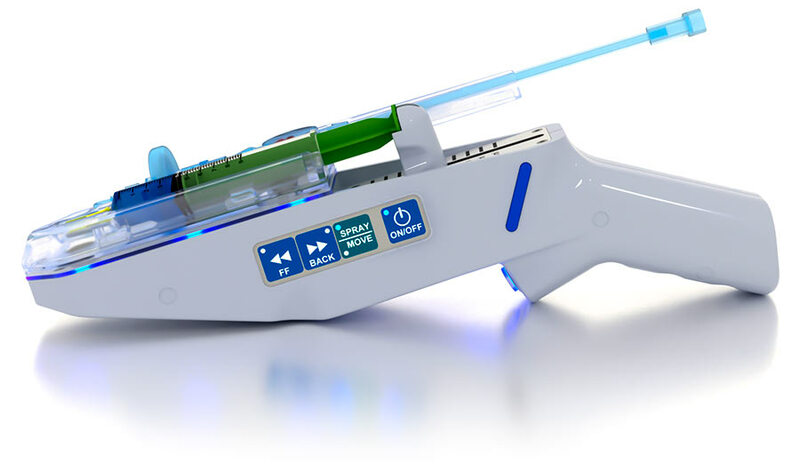 In contrast, the SkinGun™ is an ultra-gentle sprayer, which delicately carries the patient’s own stem cells to wound sites. 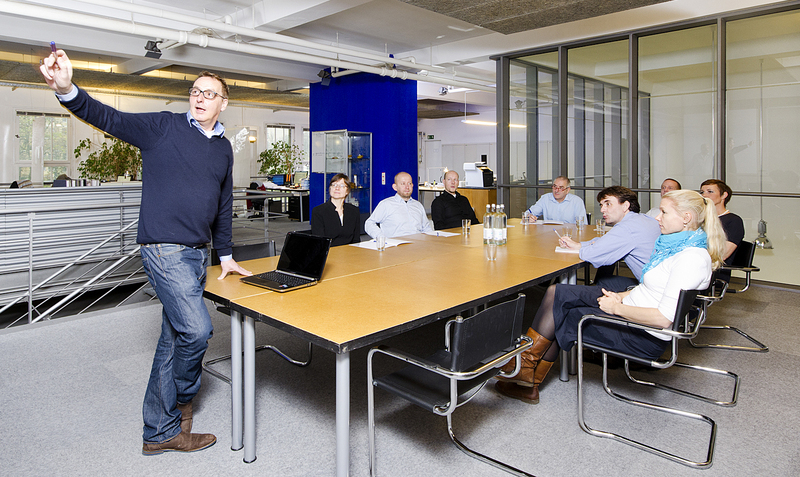 We make use of a novel positive-pressure system engineered to avoid violent forces. How does the CellMist™ System work? 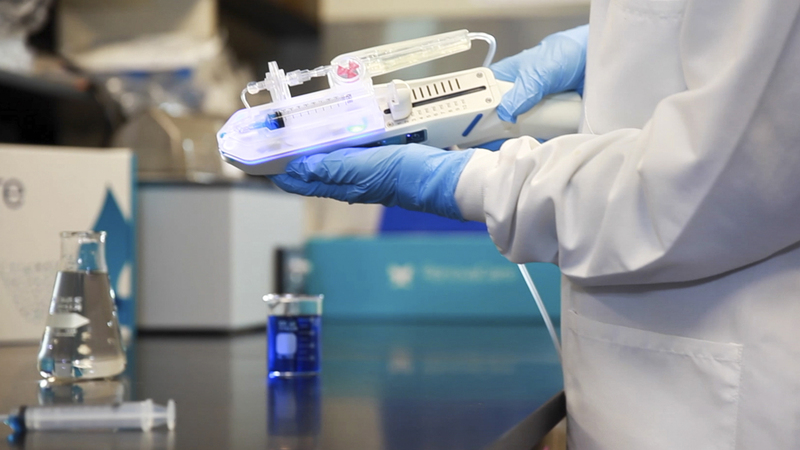 The CellMist™ System sprays a patient’s own stem cells onto wounds, naturally regenerating skin to heal traumatic wounds quicker than traditional therapies. First, a patient’s cells are liberated from a small sample of skin, often as little as a postage stamp. These naturally potent cells are collected in a water-based liquid called the CellMist™ Solution. Next, the CellMist™ Solution is sprayed gently onto the wounded area using our patented investigational SkinGun™. This procedure takes as little as 90 minutes from start to finish. In some cases, patients can leave the hospital within a few days, rather than the many weeks required by alternative treatments. 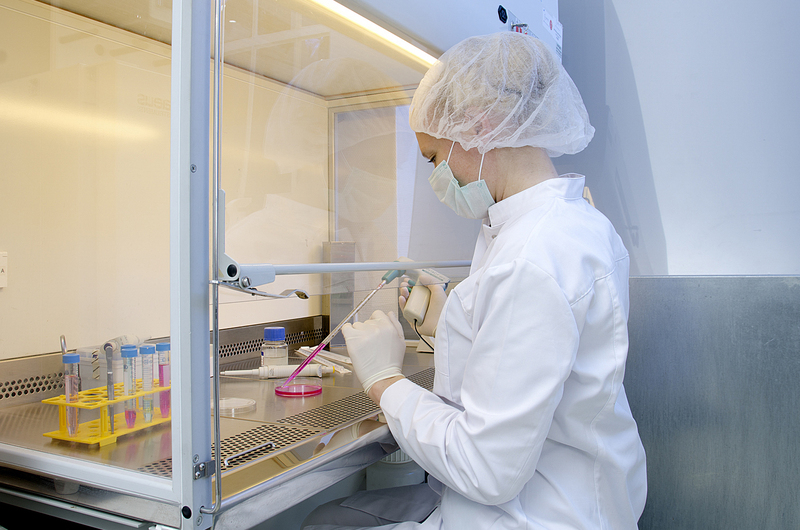 What conditions does the CellMist™ System treat? 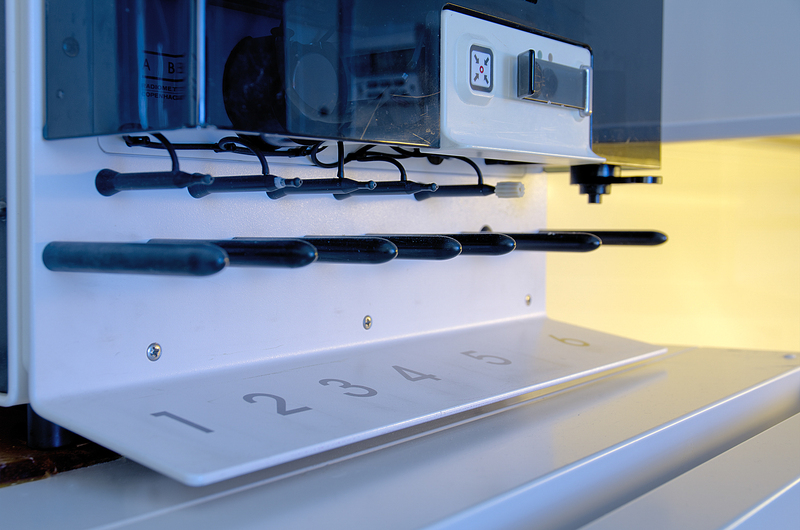 The CellMist™ System has been used in experimental procedures to treat severe second-degree burns. Our future target markets include chronic wounds, vitiligo (areas of unpigmented skin), scars, and other skin disorders, which collectively account for a $45 billion market and 143 million patients. Where is CellMist™ treatment available? 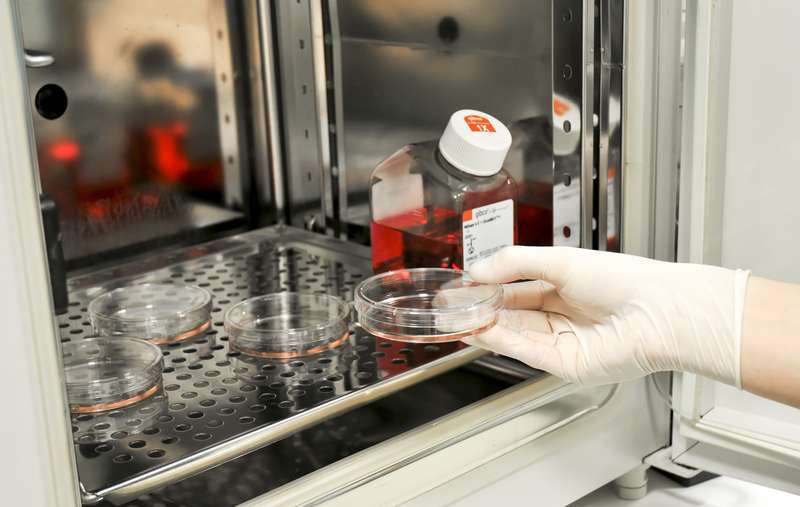 The CellMist™ System is under development and has only been used in experimental protocols on a very limited basis. Our technologies are not currently available for use or treatment in the United States. What is the liquid sprayer for wound care and irrigation fluids? 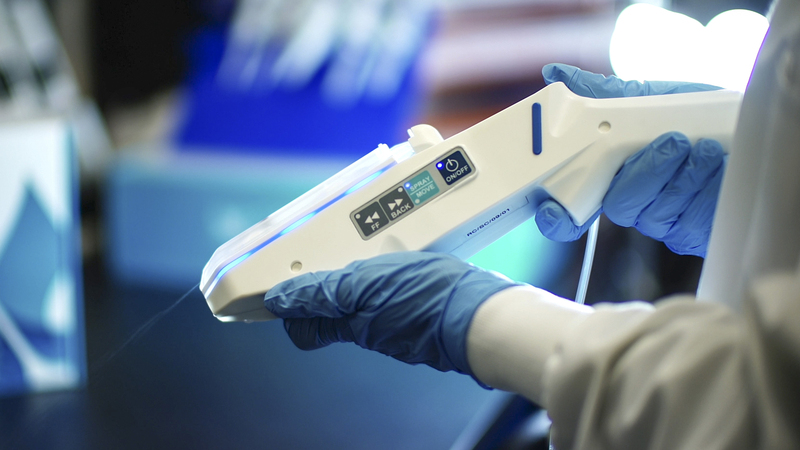 RenovaCare’s Solution Spray Deposition Device was designed to meet a specific clinical need. Liquid spraying, such as saline solution spraying to cleanse a wound, to irrigate a wound, or to maintain a moist wound environment is clinically desirable in surgery. 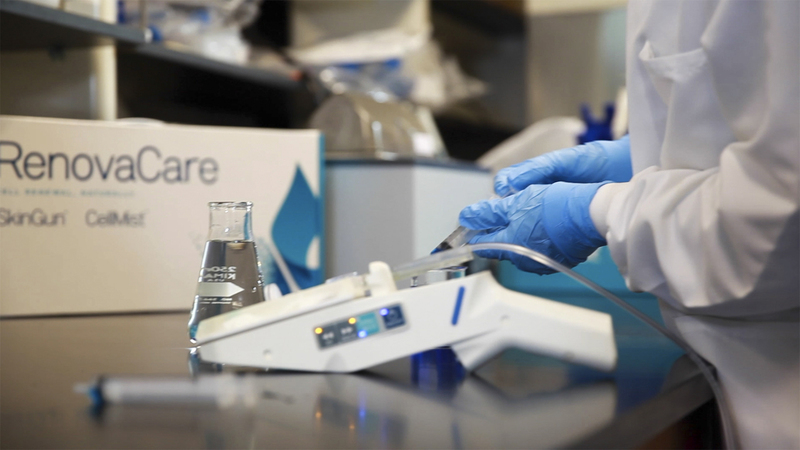 While saline and other wound-wetting solutions’ distribution over burns and other wounds is typically performed by pouring the liquid or squirting with a standard syringe, RenovaCare has developed a device that sprays gently and evenly over a large wound area.